I was honored to report on the work of the Commission on Bullying at the fall convention of the Mass Union of Public Housing Tenants, in Norwood, Massachusetts on October 28, 2017. Here is the report as given to Mass Union, and now presented as a report to all our supporters, including the hundreds of people who received and distributed our newsletter and especially those who helped with and completed the survey. To each of you, a warm "Thank you for what you do." At the last conference, you entrusted me with advocating for your rights in my role as Commissioner of the Massachusetts Commission on Bullying. Any success that I have had is due to your support, encouragement, guidance, and hard work. Thank you for your trust and your support. The problem of bullying in public housing is widespread, and is even reported from the public housing development at 1600 Pennsylvania Avenue in Washington, D.C. Bullying is a way to harm and control the victim and take away their rights—their dignity—their self respect—their health—and their well being. Bullying, or as the lawyers call it, harassment, is a problem that creates toxic communities and harms everyone in housing, including management, staff and landlord, not just the tenants. Mobbing consists of a community harassing and bullying a victim to get rid of them. In your housing, how many of you have been bullied? How many of you know someone else who has been bullied? How many of you have seen the problem quickly resolved? Or does the victim continue to suffer? And search for help for months and years for help? Based on a review of photographs, I estimated that 80 of the approximately 100 people in the room raised their hands to report on bullying in their homes; and a very few, less than 10, hesitantly raised their hands to show a good resolution. I expected that a small number would report on bullying that affected their homes, but here was evidence of a very widespread, pervasive plague that in most instances, had no remedy. And the audience was comprised of strong people who were leaders of their communities. I was overcome by emotion. I believe that each of us here wants to provide relief to every victim of harassment immediately, some of us are angry and impatient. Do we want our rights? The purpose of the Commission is to understand the causes and extent of bullying, and to find ways to prevent harassment and protect the rights of all tenants. While the Commission is not empowered to remedy our individual complaints, our experiences as victims can help guide the Commission’s deliberations. How can we create healthy communities instead of toxic communities poisoned by bullying, mobbing, and harassment? Can the Commission on Bullying bring us together to solve this problem? At a meeting on March 23, 2017 of The Citizens Housing And Planning Association (CHAPA), the Undersecretary of Housing for the Commonwealth of Massachusetts, Chrystal Kornegay, asserted that bullying is a social relationship issue and outside the scope of the Department of Housing and Community Development (DHCD). Ms Kornegay said that the agency is stretched just to take care of the buildings. I know that DHCD does not have the funding to do all they would do. But both Federal Fair Housing and Massachusetts civil rights laws make our landlords responsible to remedy harassment that infects their property. DHCD has a seat on the Commission. While I could appreciate Ms Kornegay's position, and perhaps she was just expressing frustration with challenges that she did not have the resources to meet, nevertheless I was apprehensive: Would the Commission be able to work together with DHCD and MassHousing to solve the problem? Would the Commission listen to the needs of tenants? Can we work together to solve the problem of bullying? Are we tenants in a struggle with management, or are we working together? We must find a way to work together on the Commission and in the housing situation if we are to solve the problem of bullying. Tenants are knowedgeable experts on the nature and impact of bullying. And I have insisted on the right of my tenant partners and colleagues to participate in activities of the Commission, based on the enabling law and the open meeting law. Any imbalance of power puts us at risk of bullying. This is true inside our residences and our own homes. So if we are to work with our landlords and managers, we need to establish mutual respect. The Commission was designed to solve problems of bullying and power imbalance by bringing people of many different perspectives together to work on common goals. With all the good will our public servants bring to their work, they may not have the tools and resources to carry out their mandate to serve the public. Bringing us to the table—tenants, clients, and consumers of government services—may seem like a further challenge. My assignment as Chair of a Research Committee on Conditions and Prevalence is to research conditions and causes—the how and why of bullying; and prevalence—to count how much. To understand the conditions we can compare factors found in toxic communities with those found in healthy communities. One of the many factors that make a difference in determining when a community is toxic is the absence of legal and administrative accountability. I have assembled an expert panel that includes lawyers and tenant advocates and leaders. We will explore what is missing from our legal and administrative systems. How do we hold landlords accountable? How do we provide rapid relief and protection for victims? What protections exist for people like us who cannot afford an attorney? If we find gaps, we will press for consideration of new legislation and regulations. I am working in partnership with several landlords who succeed in promoting healthy community life so we can better contrast healthy and toxic communities, and possibly model solutions on their experience. For example, one landlord uses a cooperative model and encourages democratic procedures to empower tenants of their subsidized programs to make many of the decisions about life in their communities and to manage their community—and the residents work to prevent bullying. We are using a survey, Bullying of Tenants in Public and Subsidized Multifamily Housing, to reach out to residents and staff and ask them to report on social conditions where they live or work. Outreach is a problem in logistics and communication. How could we reach everyone? At the latest meeting of the Commission I was proud to have at my side several of you, consumers and tenants—Susan Bonner, Pamela Goodwin, Concetta Paul, and Georgia McEaddy, as well as Jonathan Gale, a former resident of public family housing. A Commissioner and longtime community activist, Lydia Lowe, pleaded to be allowed to help elderly Chinese residents in Boston's Chinatown to do the survey. Together, we as tenants and Commissioners convinced the commission to allow all of the Commissioners and agencies to assist in reaching out to distribute the survey. This survey on bullying and social conditions in housing represents several tremendous achievements that were only possible through cooperation. The first comprehensive statewide survey of bullying and social conditions in public and subsidized housing in any state. Experts told us it couldn’t be done. But together we are doing it. We had no resources. But together we are doing it. They said it couldn’t be done. But together, we are doing it. Let us applaud all the people who have worked together and have done the survey to make this landmark achievement possible. Together we can! The research committee has partnered with Marvin So of the Harvard School of Public Health to assist in the professional analysis and interpretation of the survey data. We are very lucky to have him on board to enable us to use the surveys to help the work of the Commission and thus enable Beacon Hill to better understand and solve the problems. What we learn can help us build healthy communities. Marvin So is the Community Partnerships Coordinator for the recently established Harvard School of Public Health Student-Community Action Partnership. He was one of the authors of survey research into the problems faced by homeless families: DeCandia, C.J., So, M., Hayes, L., Family Experiences of Homelessness in Massachusetts: The Case for Family-Centered Care (Boston: Homes for Families) 2017. The research team collaborated on aspects of the study with DHCD, which contributed to the support of the project. There are 1,400 housing developments with about 92,000 units. The outreach efforts were led by the housing agencies, DHCD and MassHousing, and by the Stop Bullying Coalition and others including Chairwoman Linn Torto. The housing agencies used multiple channels to reach out to the landlords, local housing authorities, and managers; they requested that the information be made available to tenants and to those who worked on site in the housing developments. 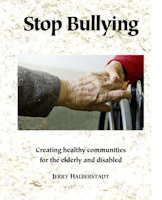 The Stop Bullying Coalition reached out through our newsletter and to the central office of the independent living centers, and through the efforts of Commissioner Dale Mitchell, the Executive Director of ETHOS, to area agencies on aging. An agency providing mental/behavioral health counseling distributed the information widely. Many recipients of the newsletter forwarded the call for action to their networks. The Coalition and other efforts outside of the housing agency efforts accounted for about 38 percent of the total responses, helping to strengthen the basis for analysis. On behalf of the Commission, I thank each of you who has filled in a survey, I thank all of you who have shared our newsletter with your networks, and I am so very grateful to all who have supported our effort to reach out to people and give them a chance to be heard so that, in time, we can provide solutions. A committee on best practices led by Commissioners Robin Krawczyk and Michael Kane is developing a model policy and a draft law to address the methods and procedures that may assure a peaceful living environment. They based their proposals on a review of school programs. And their focus is on the management of what goes on within a housing development. Another group of the Commission is preparing a program of outreach, to help the Attorney General reach community groups so as to help citizens understand their rights and obtain legal help. We now have a draft outreach program, and the Commission seeks input on ways to make it as effective as possible. The Attorney General’s Community Engagement Division aims to fulfill the Office’s mission to serve all people in Massachusetts in every one of its diverse communities. The Division works to establish a bridge between community members and the Office so that every resident has access to our resources, services, and educational materials. To this end, the Division works with all bureaus in the Office on a wide variety of topics to develop trainings, informational sessions, office hours, and presentations to bring into communities. Eric Shupin, the Director of Public Policy of the Citizens Housing and Planning Association (CHAPA) presented an update on current legislation affecting housing. An impressive feature of the Mass Union conferences is the training on housing issues, including regulations and laws affecting tenants and their rights. These sessions provide an opportunity for direct communication between tenant leaders and the leadership of the Department of Housing and Community Development. I sat in on a workshop "Enforcing Tenant Participation Regulation," Moderated by Margarita Morales, the outreach worker for Mass Union. Margarita is the only Mass Union outreach worker for the whole state; she works with tenants to help them form a local tenants' organization (LTO), teach them about their rights and grievance procedures, and seeks to empower each group. On the panel were Annette Duke, an attorney at the Mass Law Reform Institute; Amy Stitely, the new Associate Director at DHCD, and Laura Taylor, the Director of the Bureau of Housing Management at DHCD, and a Commissioner of the Commission on Bullying. The session was filled with information, questions, issues, and answers. I got the impression that the legislative, regulatory, and administrative aspects of public housing are in flux, and understanding them is a challenge, even with an expert attorney to advise. I heard much frustration and even anger from the tenant leaders who have been seeking answers and solutions to specific problems for years. I also heard about procedures that are in place but are not always implemented, either by tenants or management. And I noted that Amy Stitely and Laura Taylor were eager to hear about the issues and problems, and would work together with tenants and local housing authorities to seek better solutions. Support CHAPA's push for housing finance and legislation; call and write your state senator and representative. Advocacy is hard work. We need to stand up for our rights, but first we need to know our rights, we need to organize, we need to understand the system, we need to listen to and understand those who may seem to oppose us. Jack Cooper and Margarita Morales, the staff, and the board of Mass Union set a great example of citizen advocacy. They empower people to organize, to know their rights. The Mass Union convention demonstrated their skill in bringing people together for common understanding. They brought together the tenants, experts on their rights, and the leading administrators of the public housing agency, DHCD. People in different roles were able to listen to each other and to find ways to discover common interests and solutions. And that's what we have tried to do on the Commission on Bullying, we come from different backgrounds, bring different skills and experiences, represent a variety of interest and stakeholder groups, and nevertheless we seek to respect each other and are able to find common ground in resolving difficult problems. This is democracy. This is how we do it. Thank you for what you do. The opinions expressed herein reflect those of the author and may not reflect those of the partners of the Stop Bullying Coalition or the Mass Commission on Bullying. This writing represents the opinions and perspective of the author and do not necessarily represent the official proceedings, meeting notes, or potential recommendations of the State Commission to End Bullying.